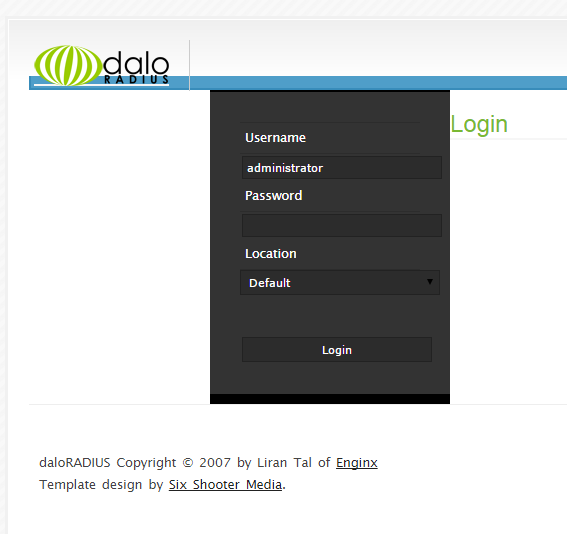 It is based on a FreeRADIUS deployment with a database server serving as the backend. Among other features it implements ACLs, GoogleMaps integration for locating hotspots/access points visually and many more features. 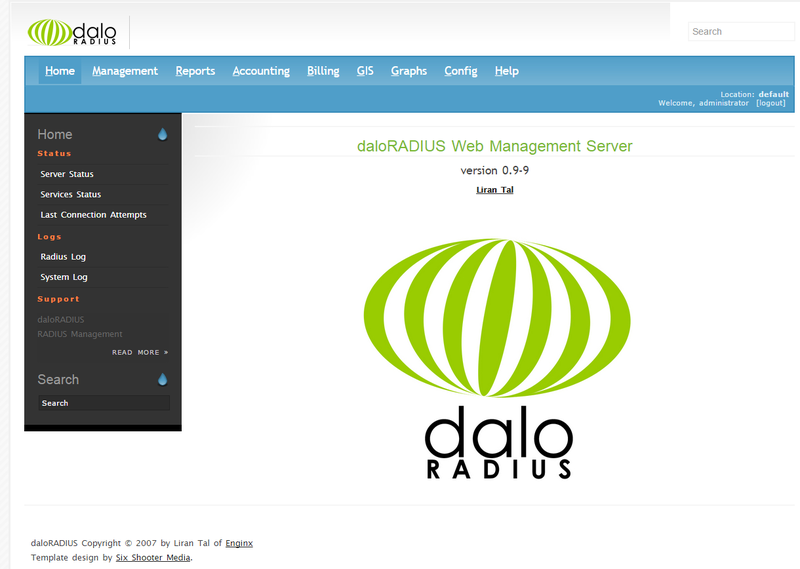 daloRADIUS is essentially a web application to manage a radius server so theoretically it can manage any radius server but specifically it manages FreeRADIUS and it's database structure. 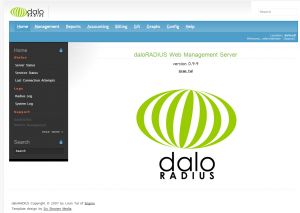 Since version 0.9-3 daloRADIUS has introduced an application-wide database abstraction layer based on PHP's PEAR::DB package which support a range of database servers. Before Installing make sure you have Ubuntu 15.04 LAMP server installed and ready for freeradius. Type ‘help;' or ‘\h' for help. Type ‘\c' to clear the current input statement. Run freeradius in debugging mode. If there is no error, you are ready to go. Mysql database need to setup for daloradius.We need to do is to import the daloradius scheme into our existing radius database.